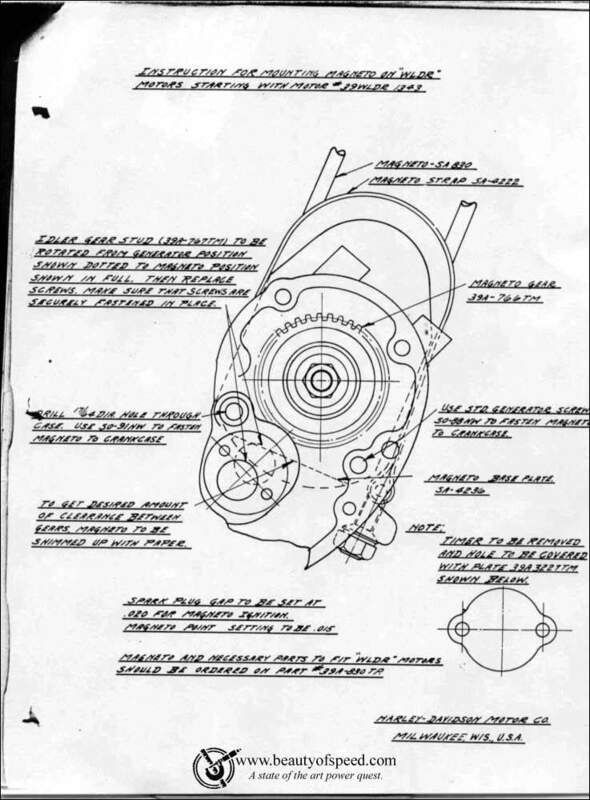 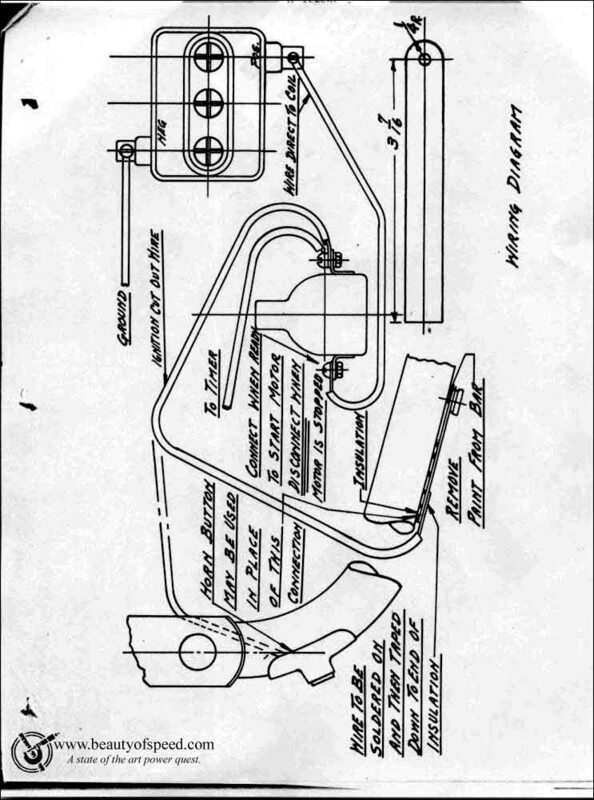 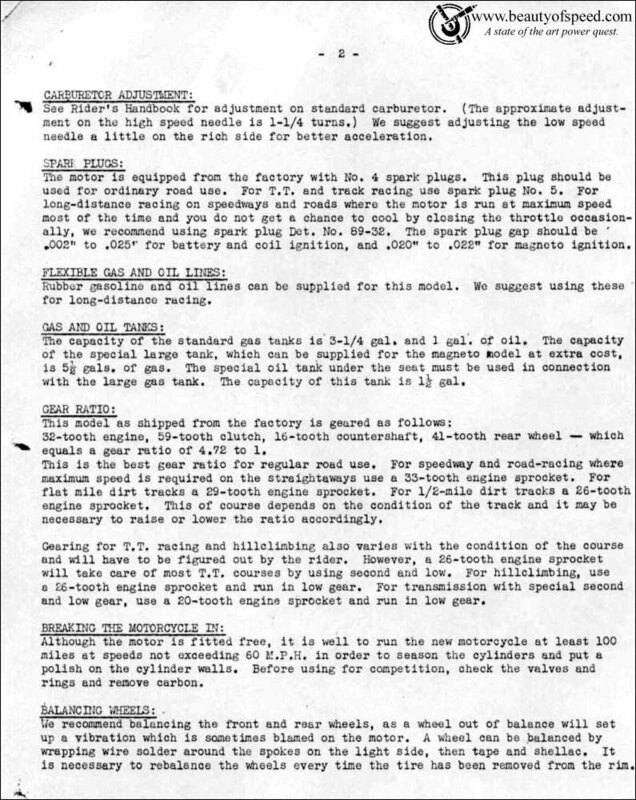 Instructions & specifications from the factory for the 1940 WLDR model. 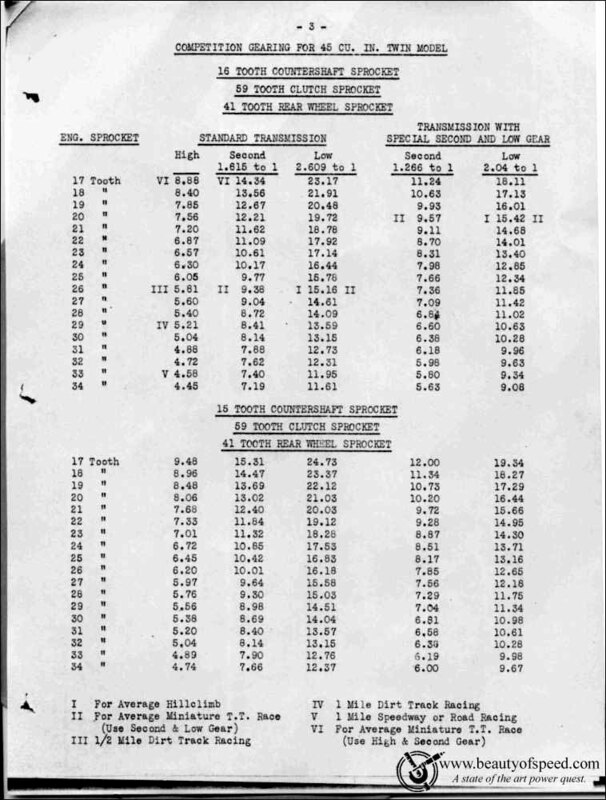 This document gives great insight on the 1940 WLDR model, although it does not mention the 1940 WLDR Special. 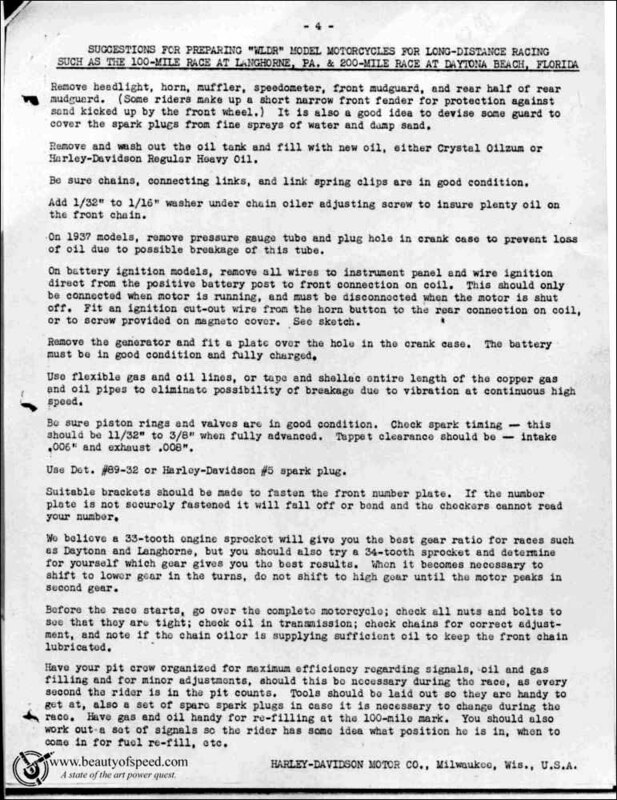 Particularly interesting sections are instructions on how to prepare bike for long distance racing [200 Miles Daytona beach and 100 Miles Langhorne] , drawing indicating how to set up a cut out switch on a timer ingnition setup and drawing of installation of a front mount magneto, with exact engine number on which it first appeared [39 WLDR 1343]. 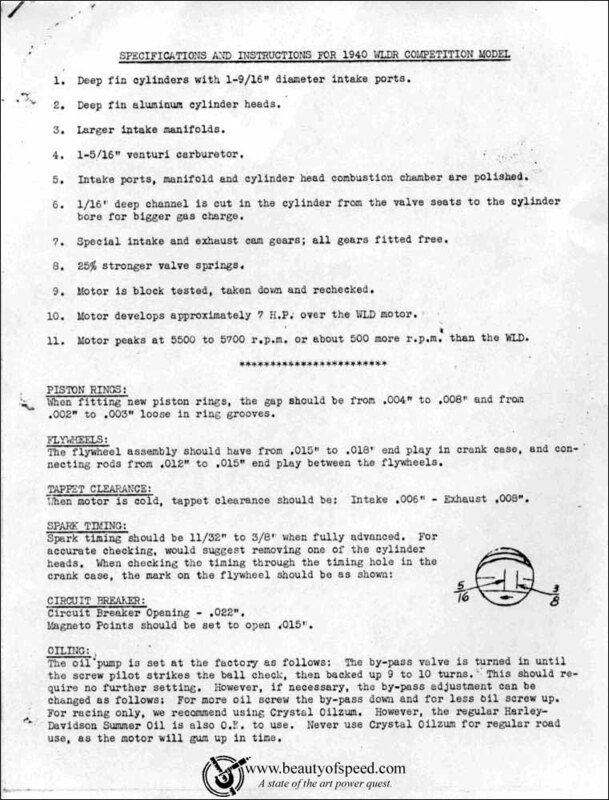 Thanks to Bruce Linsday for sending us copies of these documents.